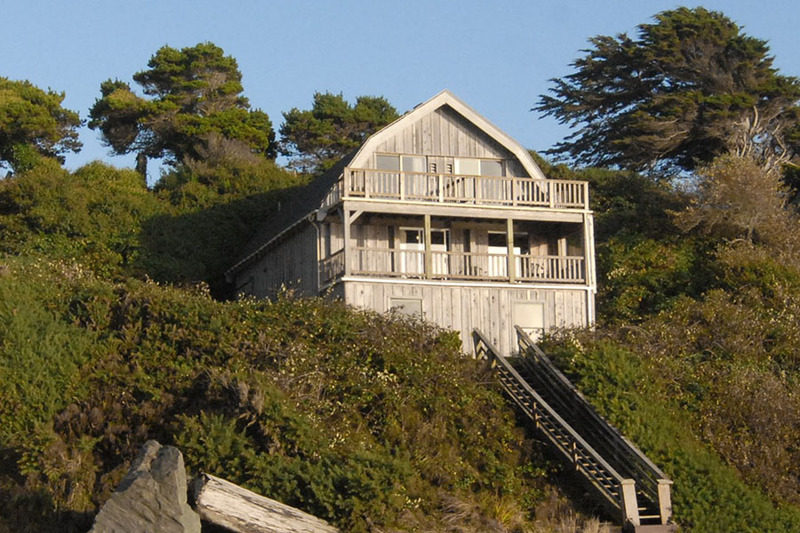 Welcome to the Face Rock Retreat: North Loft! 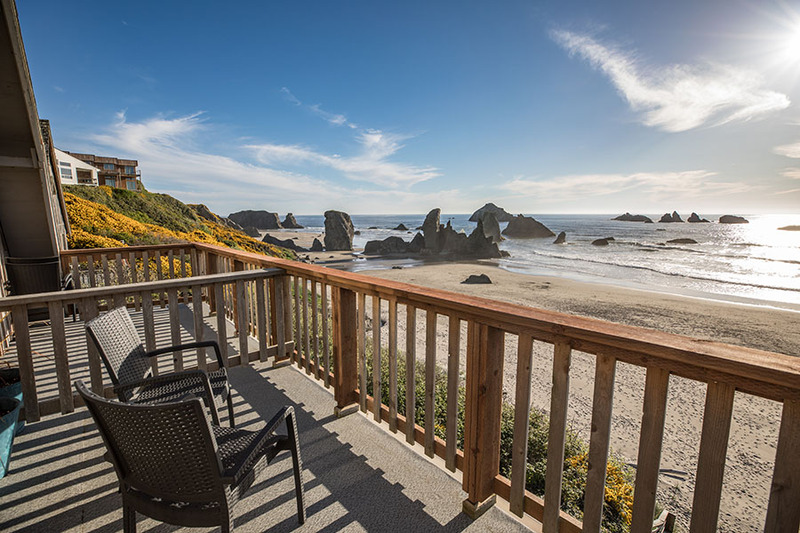 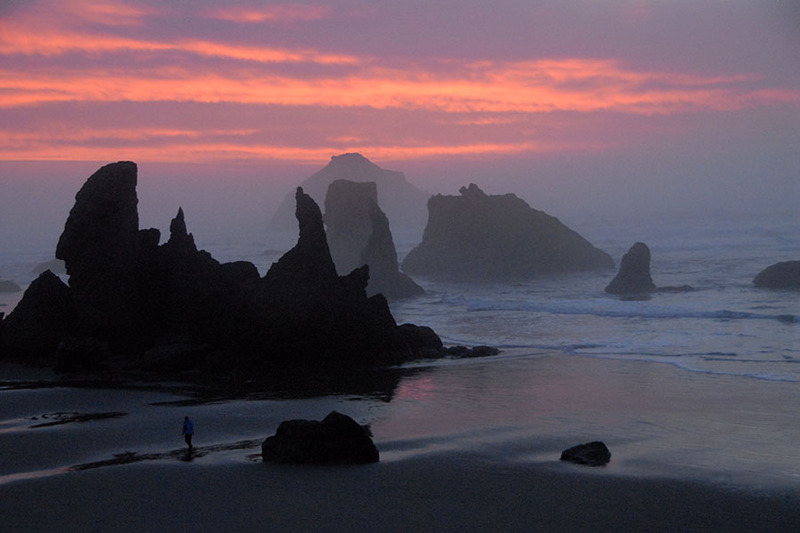 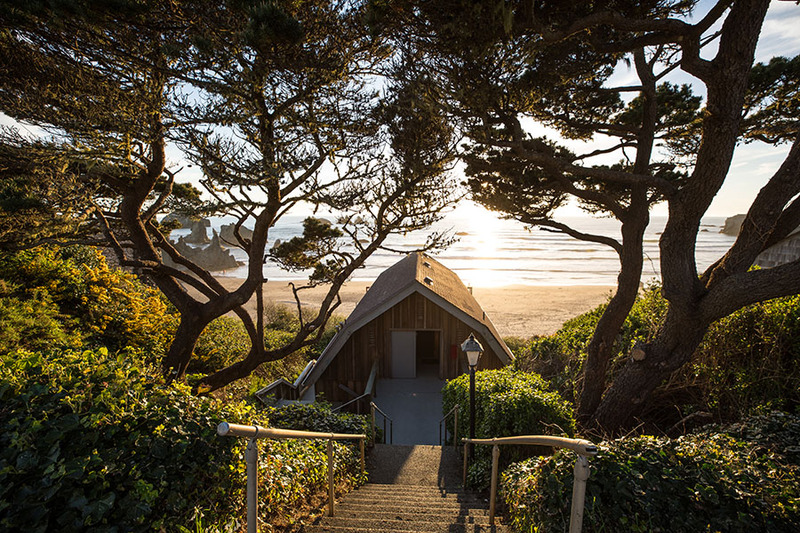 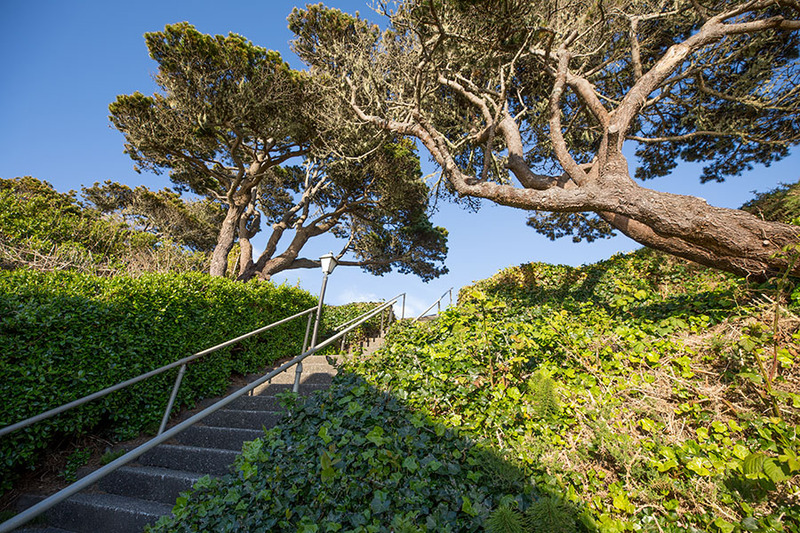 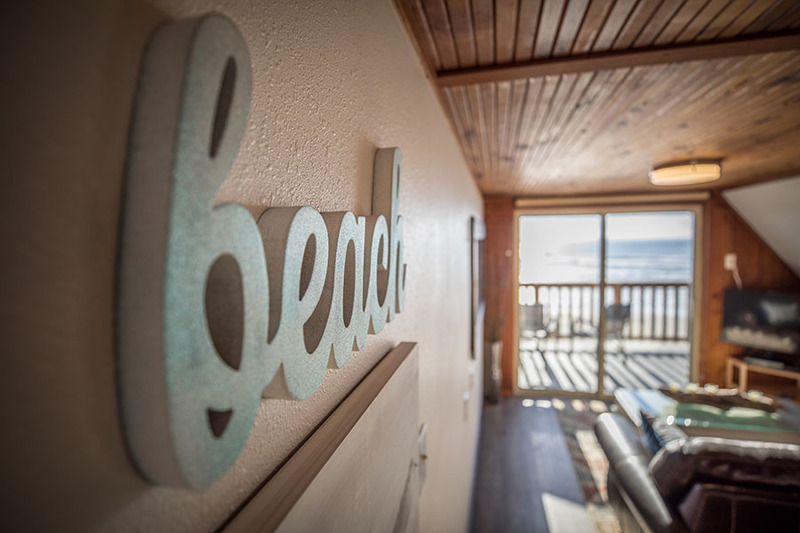 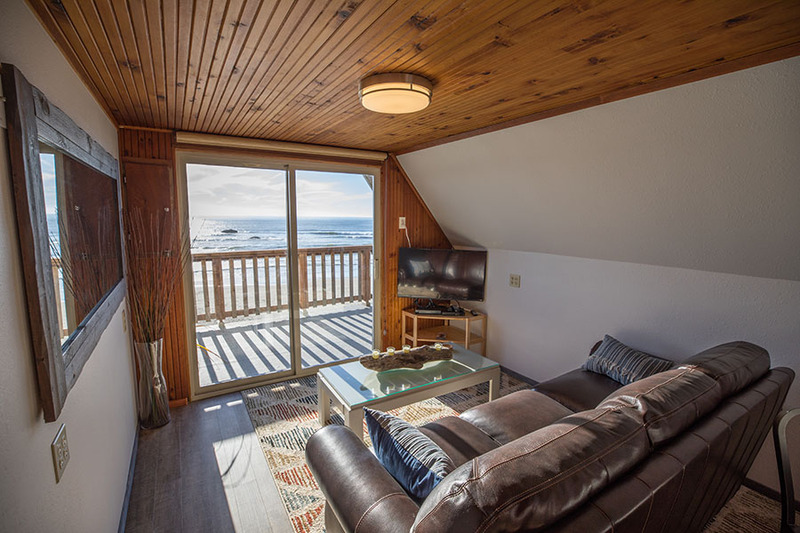 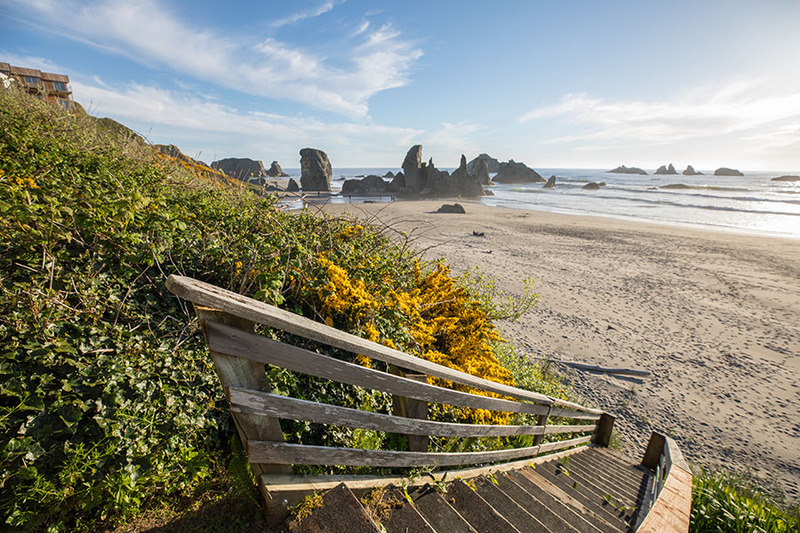 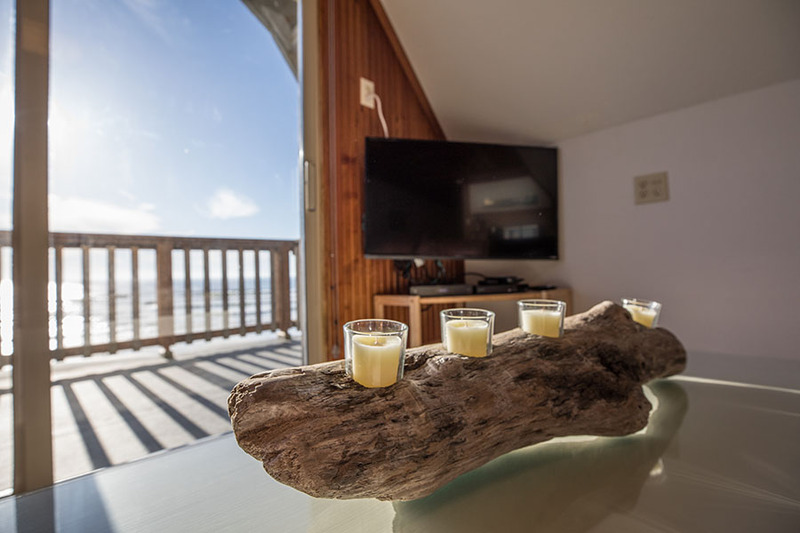 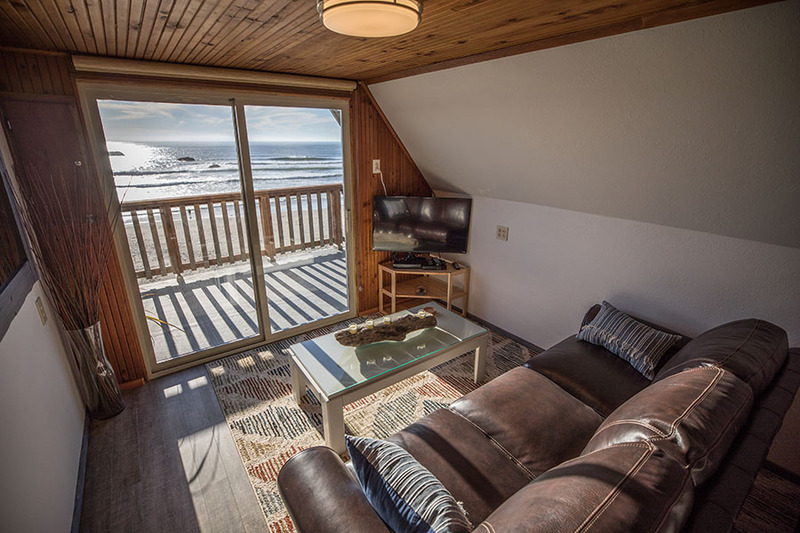 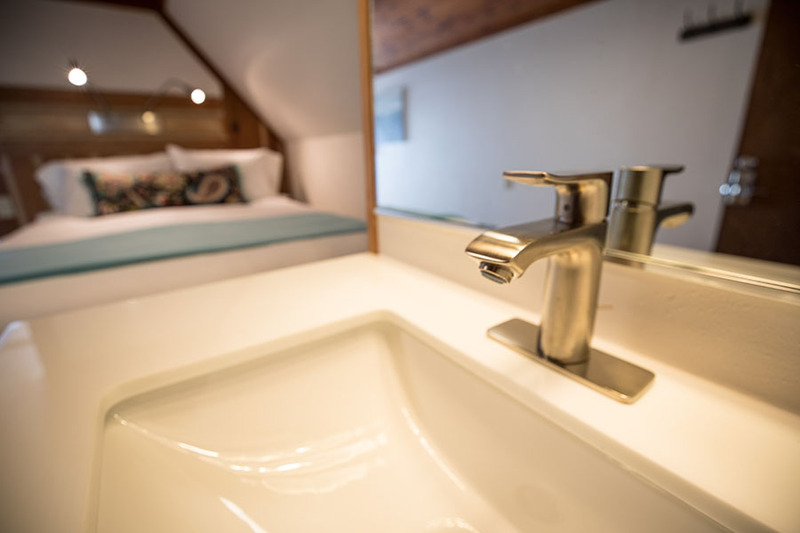 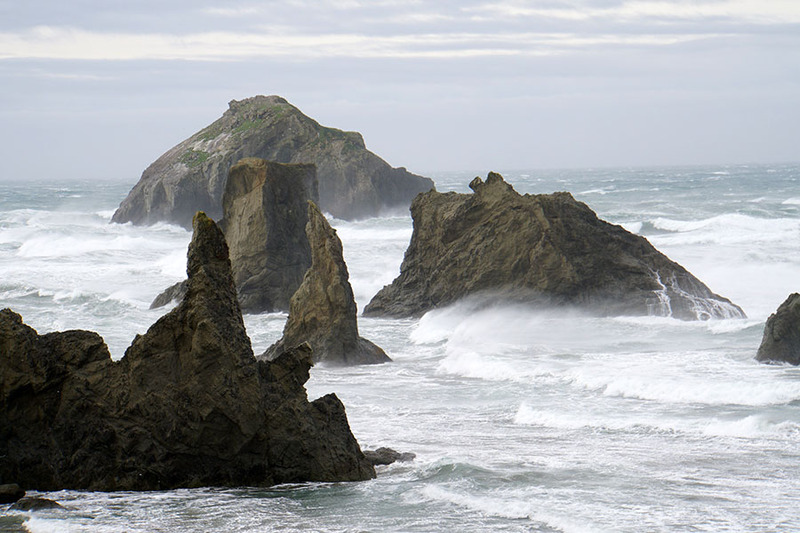 Located on the third level of Face Rock Retreat, the North Loft offers a cozy, suite-type room with semi-private deck offering incredible views of the ocean and Bandon’s famous rock formations and spires. 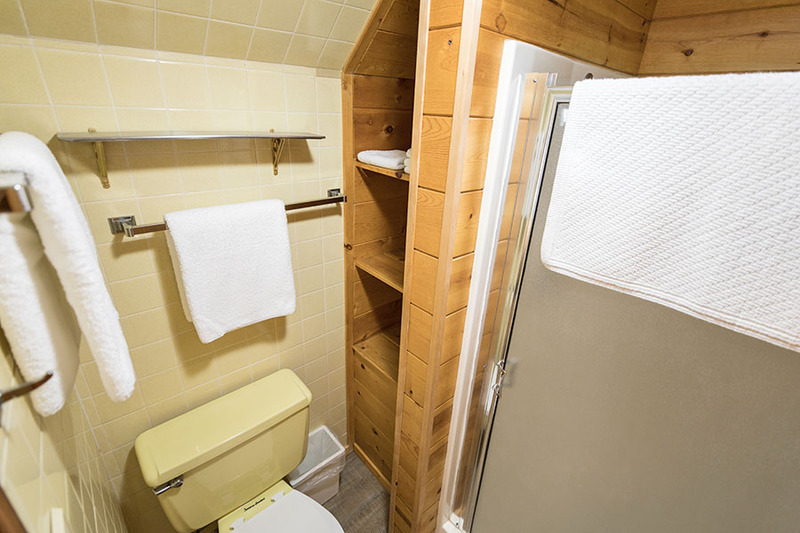 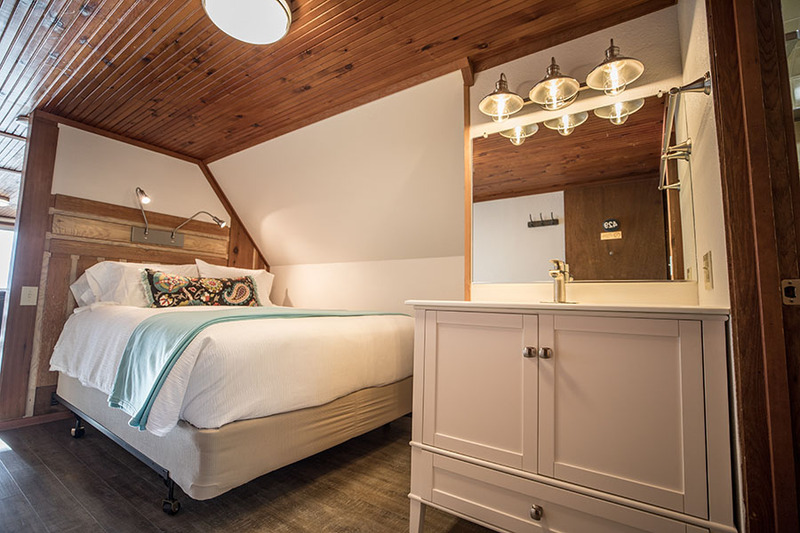 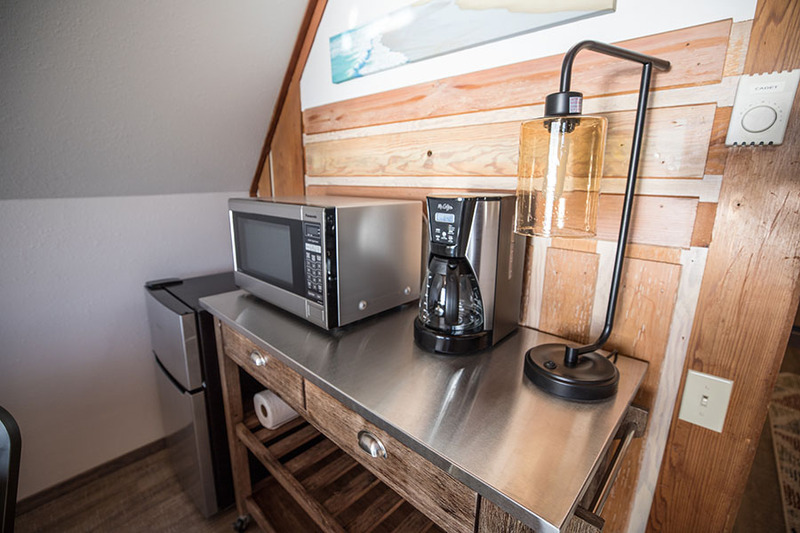 Last renovated in 2018, new furnishings create a fusion of rustic cabin and modern design elements. 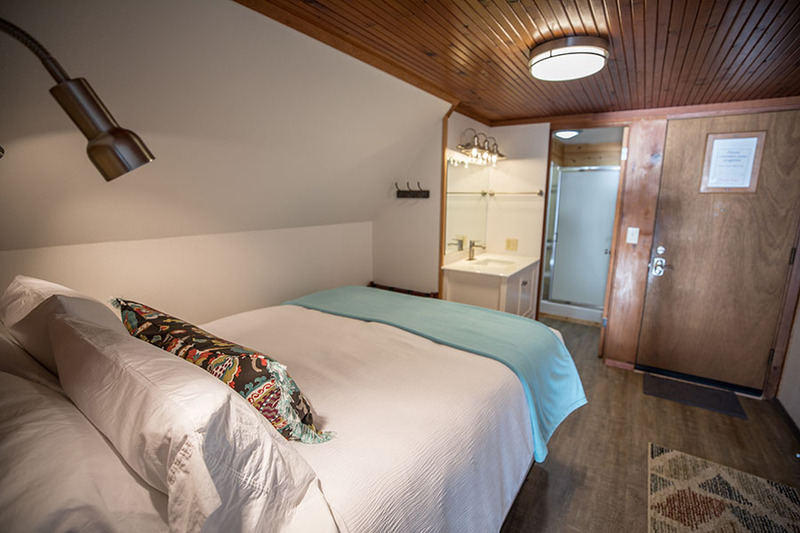 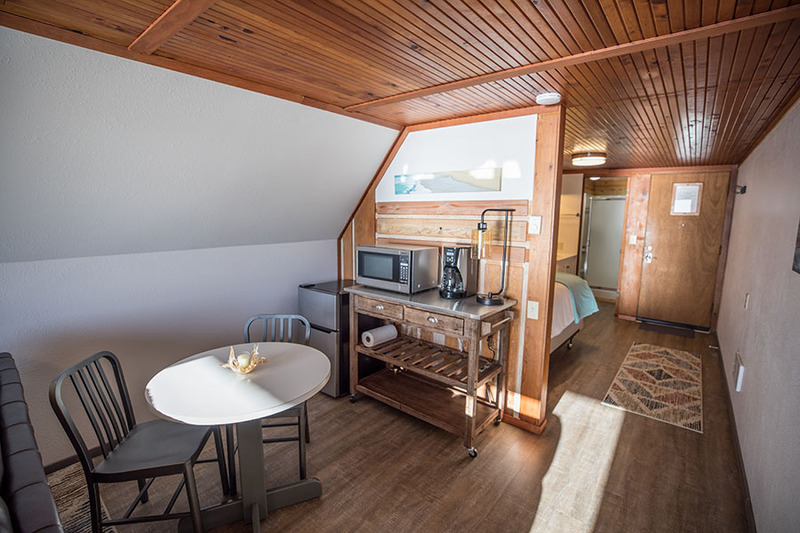 North Loft amenities include queen bed, full-size leather couch, 39" flat screen TV with Spectrum Silver channels and Blu-ray/DVD player, free local and long-distance phone service, high speed Internet/Wi-Fi, microwave, coffee pot, small refrigerator/freezer, hair dryer and deck chairs. 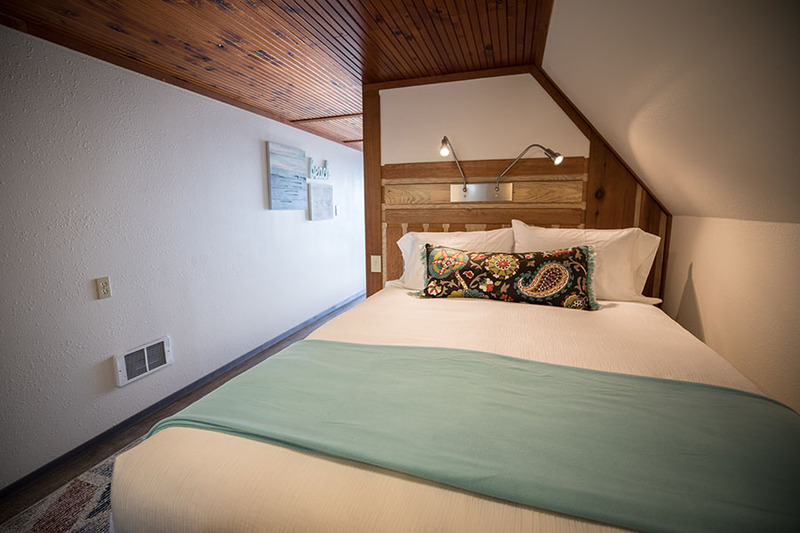 If you are traveling as a foursome, consider reserving the South Loft right next door.